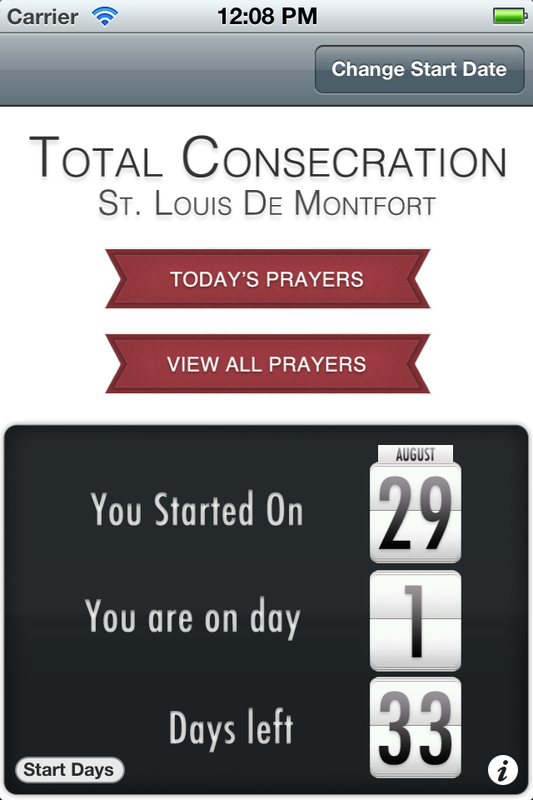 E-merse yourself in St. Louis De Montfort's Total Consecration to our mother Mary in this beautifully designed and simple to use app! Choose a day to start and then simply open the app every day and tap "today's prayer" to find everything you need for that day! 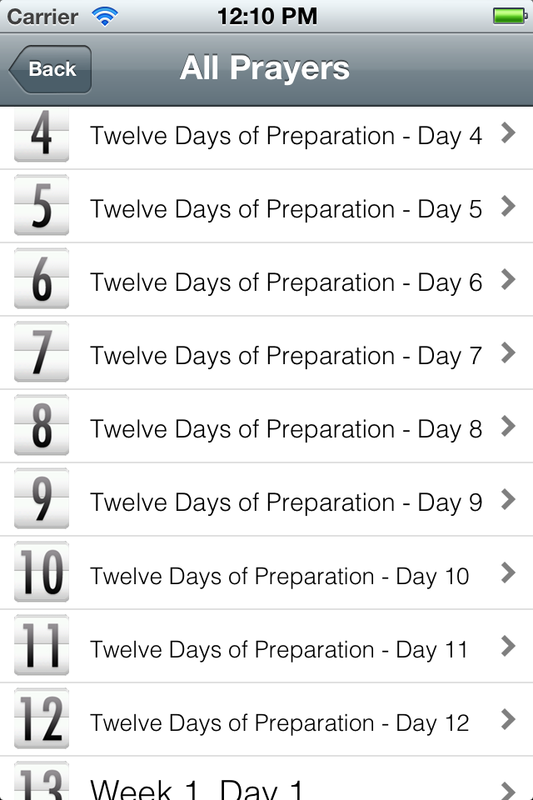 The app also includes a list of days on which it is recommended to start the consecration. 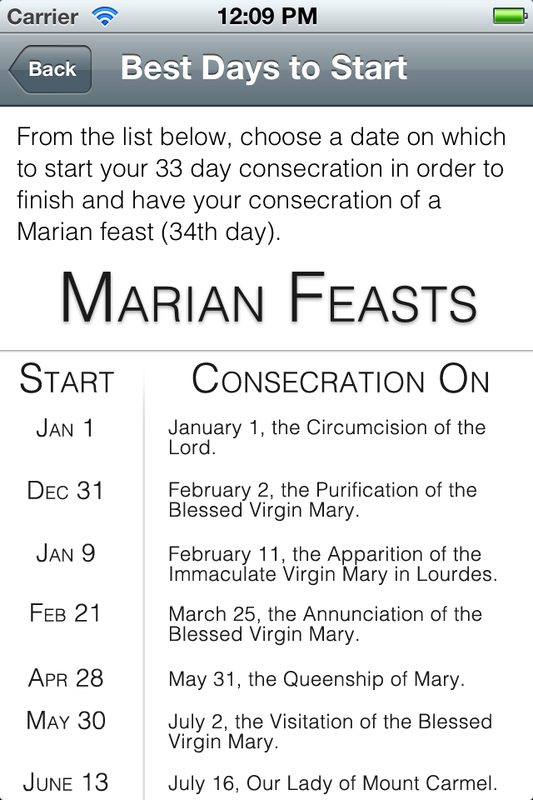 The dates that are listed there ensure that your consecration will be on a Marian feast day. - The ability to list all the days and view them at once. - The ability to change the day that you started the consecration in case you started before you got the app. + Added Notifications. Go to the info page and set what time you would like to be notified!